For Paris Photo Los Angeles 2015, M+B is pleased to present works by legendary photographer LeRoy Grannis. The booth will feature over fifteen color and black and white works focusing on what many consider to be the golden era of surfing—the Sixties and Seventies—and marks the debut of Grannis’ large format black and white estate photographs. One of the key image-makers of his era, Grannis was the first to document the humble beginnings of the west coast surf scene, and its rapid evolution into a profoundly influential youth subculture. His poignant images capture the purity, soul and lifestyle of a seminal moment in American cultural history. Whether shooting surf hero Miki Dora catching the perfect wave in Malibu or Greg Noll at Oahu’s North Shore to covering vintage “surf bomb” board-laden station wagons along the Pacific Coast Highway, Grannis’ iconic images capture both the grace of the sport and the surf lifestyle that has become part of the American vernacular. A surfer since 1931, LeRoy Grannis (1917 – 2011) was born in Hermosa Beach, California in 1917 and began shooting surf-culture images on 22nd Street in 1960 as a hobby at the suggestion of a family doctor. His work immediately appeared in the important surf culture magazines of the time including Surfer, Reef and Surfing Illustrated, and he soon became one of the sport's most important documentarians. Grannis’ awards for his accomplishments are far-reaching. He was voted into the International Surfing Hall of Fame as the number one lensman in 1966, and in 2002, he was awarded SIMA's Lifetime Achievement Award. He was the subject of The Surfers Journal's first ode to the master photographers in 1998 with Photo: Grannis; his work was featured in Stacy Peralta's 2002 award-winning documentary of the sport, Riding Giants; and in 2006, LeRoy Grannis: Birth of a Culture was published as a limited-edition, signed collector's edition monograph by TASCHEN. In 2005, M+B Gallery in Los Angeles gave Grannis his first art exhibition, and since then, his photographs have been exhibited widely. 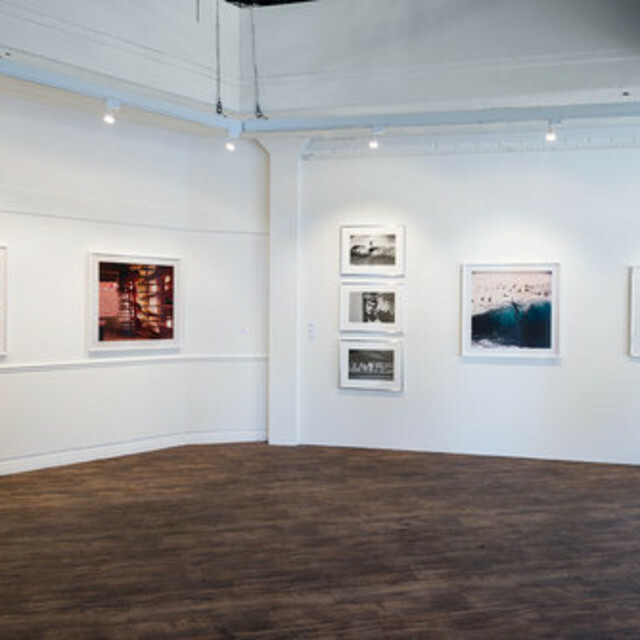 Solo exhibitions include two shows at M+B (Los Angeles), Van Horn Gallery (Germany), Dallas Center for Architecture (Texas), Benrubi Gallery (New York) and most recently a solo presentation at Paris Photo Los Angeles. Selected group exhibitions include Musee Nicéphore Niépce (France), California Surf Museum (Oceanside, California), New Orleans Museum of Art (Louisiana), Musée de l’Elysée (Switzerland), Santa Barbara Museum of Art (California), Laguna Museum (California) and Fifty One Fine Art Photography (Belgium). Forthcoming thematic exhibitions include Pacific Worlds at Oakland Museum of California and Who Shot Sports: A Photographic History 1843 to the Present at the Brooklyn Museum in July. Grannis was also the subject of a second TASCHEN monograph, LeRoy Grannis: Surf Photography of the 1960s and 1970s, now in its eighth edition. The artist’s work is in the permanent collections of the Los Angeles County Museum of Art (California), Santa Barbara Museum of Art (California), The Huntington Library (California) and the National Portrait Gallery (Washington, D.C.), among others.